Buy the set and save time and money! Games are not just for children. Teens will enjoy these games and may feel less pressured to talk when they are engaged in a game. 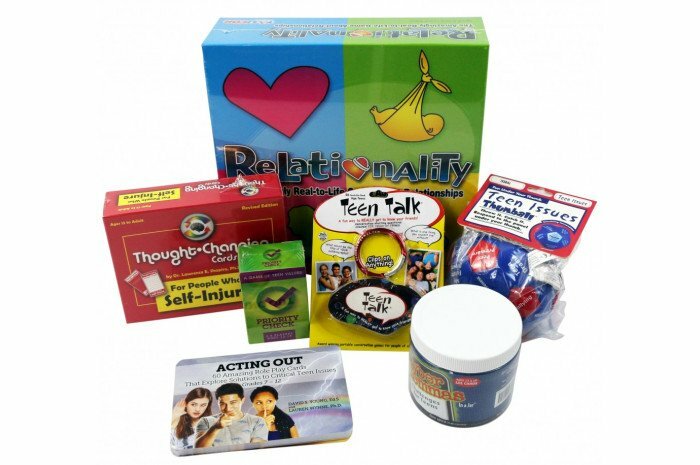 A unique set of seven games for use with teenagers in therapy or school counseling. Priority Check: Recognizing values can help teens succeed in relationships, school, home, and career planning. Fast paced fun game helps teens learn about themselves and their values. Thought Changing Card Deck for People Who Self Injure: Designed to help clients control their self-injury, and address the common emotional problems that accompany this behavior. 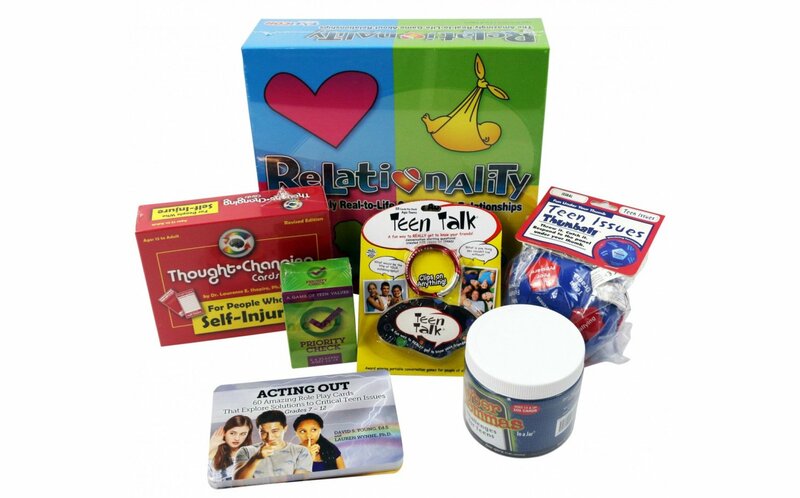 Relationality: The Real-to-Life Game of Relationships: Research-based board game makes it fun for teenagers to learn about relationships and choices in a nonthreatening way. Teen Issues Thumball: Topics include social/emotional themes, relationship challenges, personal obstacles, coping & resiliency and risky behavior. Great for groups. If you work with teens often, you'll find this a useful asset to your setting.